Here we are introduced to a different side of Whitey Bulger. He comes across as regretful of past actions and despondent that we are acknowledging his legacy in crime, as it brought nothing but trouble for him, and more notably his family. 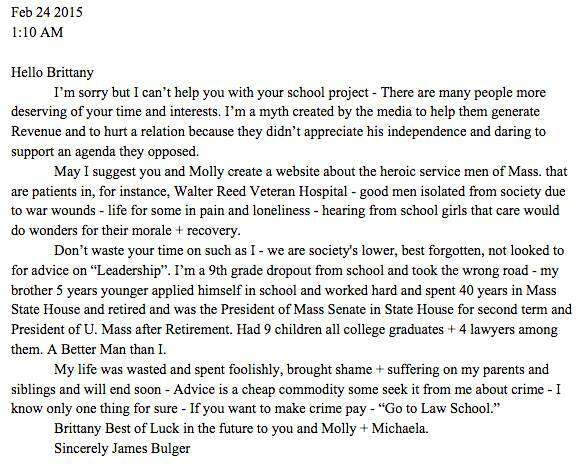 Bulger also interestingly adds, "Advice is a cheap commodity some seek it from me about crime - I know only one thing for sure - If you want to make crime pay - 'Go to Law School.'" By mentioning his desire to make crime pay, Whitey illustrates repentance for his own crimes and being imprisoned for them. 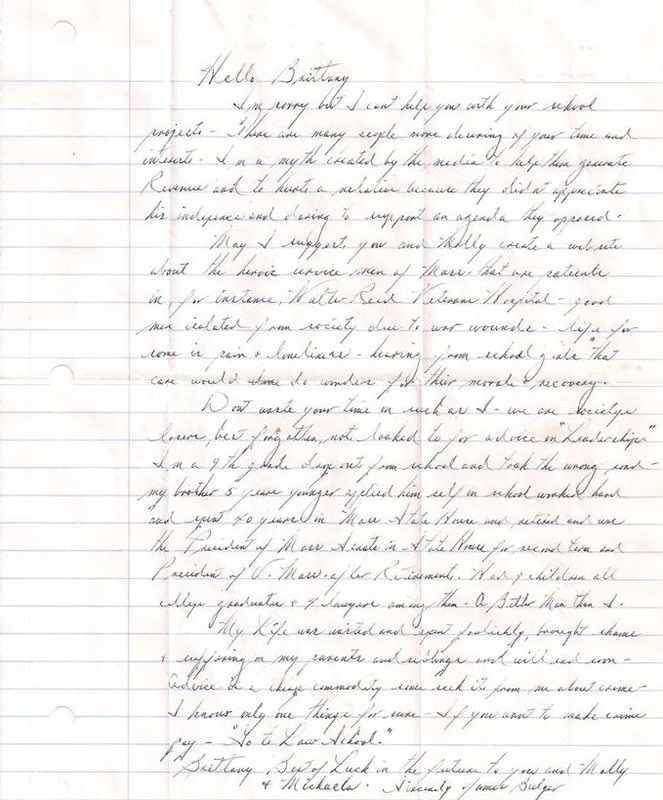 I have seen lots of letters written by Whitey, but this one was different. He seemed almost repentant. . ."